For a dramatic rejuvenation of the face, the facelift is the gold standard of cosmetic facial procedures. When completed with skill and artistry, a facelift can help a person look ten or more years younger and slow down the aging process. However, there have been some poor examples of facelifts that have created myths surrounding this popular procedure. Here is the truth about facelifts to debunk some of the myths. When you see pictures of a person with eyes that look “pulled” open or eyebrows that are lifted too high, that is not a facelift gone wrong. It may be a poorly performed eyelift or brow lift procedure, but it is not a bad facelift. Facelifts focus on the lower portion of the face, specifically the cheeks, jowls, jawline and neck. Any surgical lifts above the cheekbones are separate procedures. Facelifts are not just for celebrities. The American Society for Plastic Surgeons reported that 125,697 people had facelifts in 2017, and most have never been on the cover of a magazine. While women still make up the majority of facelift procedures, over 11,000 men opted to undergo this rejuvenating procedure in 2017. There is not a specific age requirement when it comes to facelifts. Each person ages differently and has different expectations of how they want to look. It is not uncommon for a person in their late thirties or early forties to consider a “mini facelift” to stay ahead of the aging process. Likewise, there are many other people in their sixties or seventies that also have facelifts, with some having their second or third procedure. You may see people all the time that have had a facelift and never know they had “work done.” An experienced facial plastic surgeon can perform a facelift and achieve very natural facial results that never look pulled or fake. 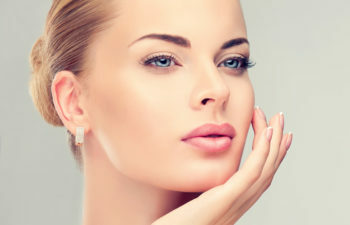 Advanced techniques that elevate the deeper tissues of the face with the skin can ensure the skin never looks stretched and will have much longer lasting results. If you are considering options to fight the effects of aging, a facelift could be the right procedure to give you the more youthful appearance you desire. Dr. Joshua Rosenberg is a dual board certified facial plastic and reconstructive surgeon who has created beautiful, natural facelift results for his patients. Schedule a consultation with Dr. Rosenberg to learn more about the benefits of a facelift procedure at our office in NYC or Staten Island. Posted on behalf of Joshua D. Rosenberg, M.D.